Measure or mix liquids in these graduated lab cylinders. 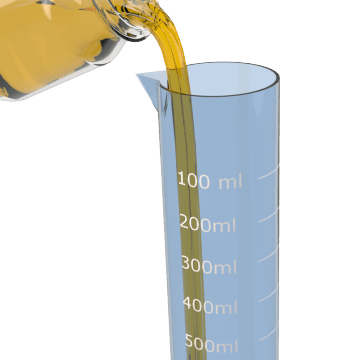 They typically provide more accurate measurements than flasks or beakers and have a wide, flat base that stabilizes the cylinder when it is set on a surface. Graduated markings on the sides let you measure contents quickly.